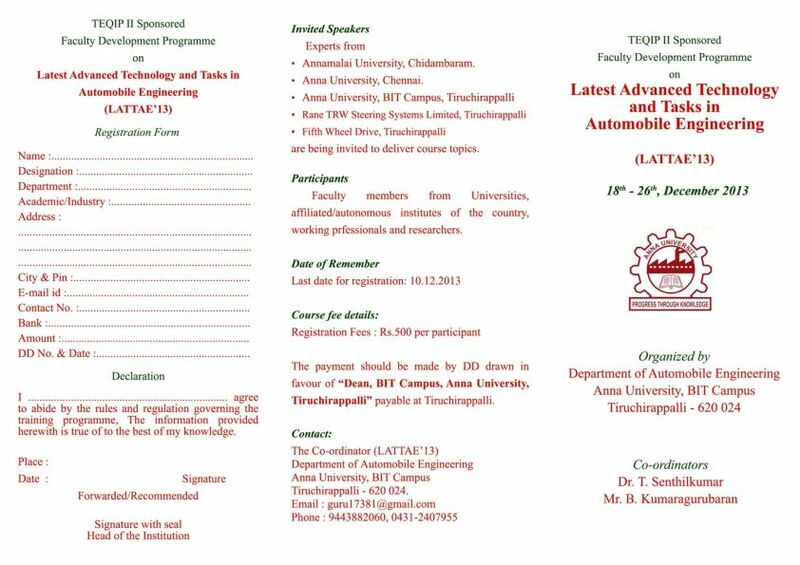 Hi I want the registration form of TEQIP II Sponsored Faculty Development Programme on Latest Advanced Technology and Tasks in Automobile Engineering of Anna University? Anna University Tiruchirappalli is a technical university department of Anna University, located at Tiruchirappalli, Tamil Nadu, India. It was established on 1999. 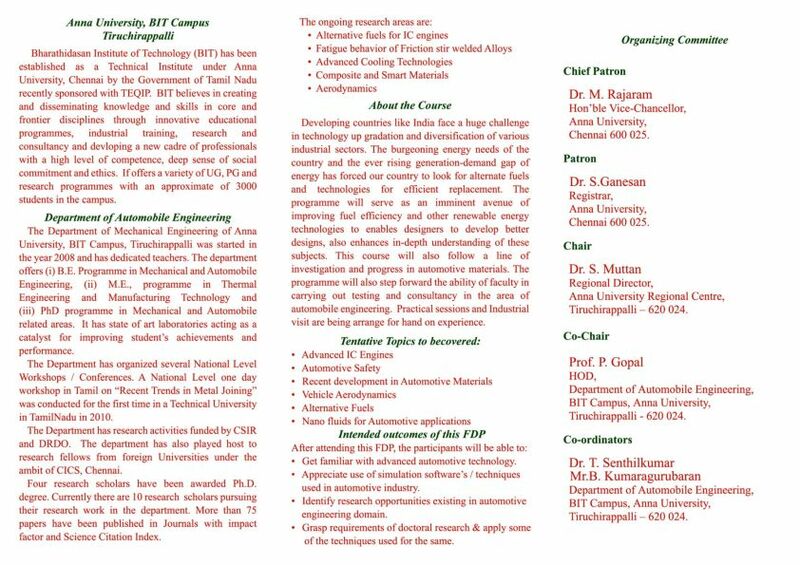 As you want the registration form of TEQIP II Sponsored Faculty Development Programme on Latest Advanced Technology and Tasks in Automobile Engineering of Anna University so here I am attaching a pdf file of form. Here I am providing you some content execrated from the pdf file. Faculty members from Universities, afﬁliatedfautonomous institutes of the country, working prfessionals and researchers.